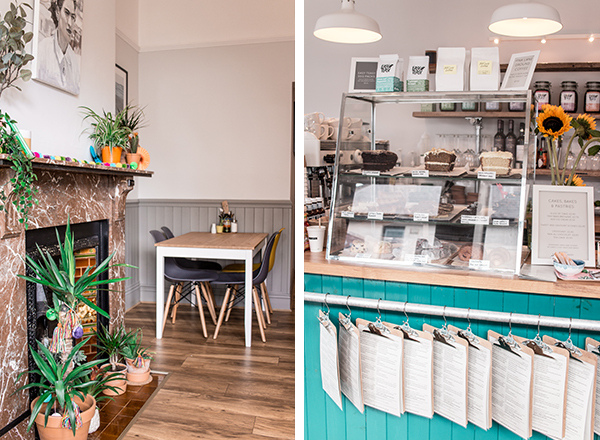 Sometimes, it’s worth escaping the city to find the best spots - and one of my favourite new places to eat is just a short Metro ride away from the city centre in Whitley Bay. Situated at the coast, the incredible Kith & Kin is one of the town’s best kept secrets. If you're looking to venture out of Newcastle, most people will tell you just to head straight to Tynemouth. But it’s worth heading a little further along the coast to explore the lesser known Cullercoats and Whitley Bay. Once considered by some locals to be Tynemouth's poor relative, Whitley Bay has been undergoing something of a rebirth over the last few years and now has some great spots to eat - the best of which is Kith & Kin, in my opinion. If you're looking for somewhere to while away a few hours, Kith & Kin is the perfect place. Nestled on Park View, it's right in the heart of Whitley Bay but remains a peaceful little spot that's perfect for a coffee or hot choc. Instagram and animal friendly, the interior has an eclectic style and is well stocked with all the best independent magazines. Food wise, the menu is varied but geared up to serve more of a brunch crowd. 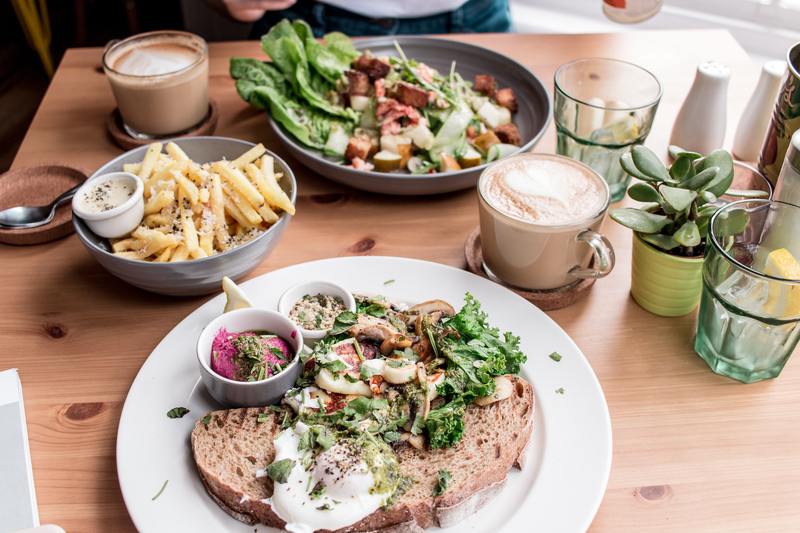 Shakshuka, French toast and avocado with eggs offer something for the brunch connoisseur, while Buddha bowls and delicious fresh salads cater to those looking for more of a lunchtime meal. Treat yourself to The Aussie if you're looking for a brunch that goes all out. With grilled halloumi, beetroot hummus, sautéed herby wild mushrooms, fried egg and dukkah served with a wedge of sour dough toast; it's certainly not a light meal. But it is packed with flavour and is perfect if you're looking for something to keep you full for the rest of the day. Just make sure you try to leave a little room for cake or one of their artisan pastries!